Women's Dearfoams Slippers Starting At $4.99! (Reg. $26)! You are here: Home / Great Deals / Women’s Dearfoams Slippers Starting At $4.99! (Reg. $26)! Women’s Dearfoams Slippers Starting At $4.99! (Reg. $26)! 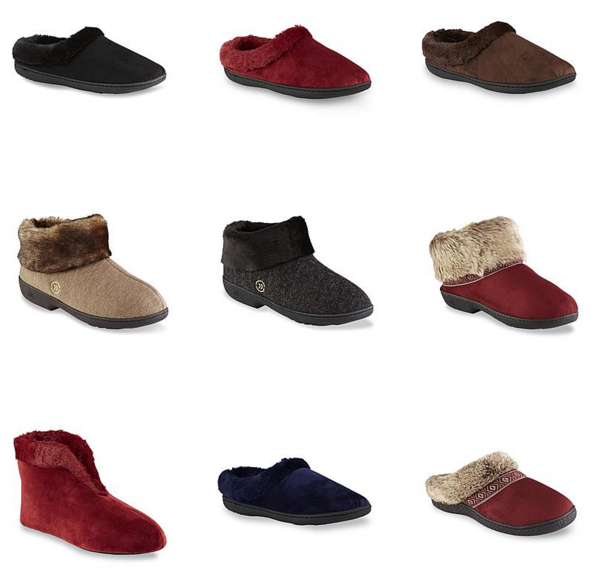 Right now you can get Women’s Dearfoams Slippers for Just $4.99! (Reg. $26)! FREE store pickup or FREE shipping on orders over $35! Lots of styles and colors to choose from. This is a great item to stock up on and stash away for gifts!